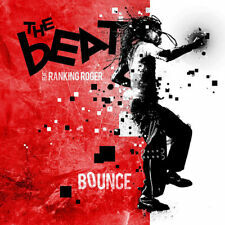 THE BEAT feat. RANKING ROGER Bounce. 5 Fire Burn 3:56. 9 Side To Side 3:42. 7 Work Work Work 2:50. 11 Close The Door 4:21. 1 Walking On The Wrong Side 3:04. Special Attributes Promo. Duration Album. Special Attributes SACD. Style Reggae Pop. Special Attributes Limited Edition. NEW SEALED 2CD. BILLY OCEAN. Having a Party. Caribbean Queen (No More Love on the Run). HERE YOU ARE. THE BEST OF. Here You Are. It Was a Very Good Year. Matisyahu ‎– King Without A Crown. Format: CD, Single, Promo. 1 King Without A Crown (Album Version) - 3:42. Released: 2005. Beenie ManKingston to King of the Dancehall: A Collection of Dancehall Favorites CD/DVD combo, new in factory shrink wrap (never opened/played). Sealed promo copy has small slice through plastic jewel case spine near top left corner (doesn't affect the CD/DVD). 6 D-Shot Call (Now Stand Tall). 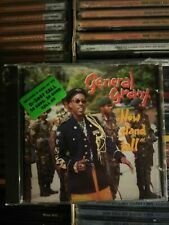 Rare Out of Print CD. 7 I Want U Bad. 8 Feels Like Fire. 1 So Good, So Good. Due to the age of the item there may be imperfections in the shinkwrap and/or cracks on the plastic jewel case. 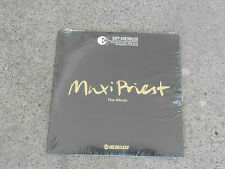 PROMO officialJapanese issue CD complete as issued withand in SEALED condition. OTHER DETAILS: Japan. SPICY CHOCOLATE SLY ROBBIE. Jason Sweetness & Future Fambo. UNIVERSALMUSIC JAPAN 2015 01/26 MADE IN JAPAN. wasn't So Bad feat. RELEASE DATE. FACTORY SEALED NEW! Love On My Mind feat. Beenie Man & Crystal Kay. Dance & Shout. hype sticker on shrink wrap. Tower Records price sticker on shrink wrap. SPECIALS "More Specials" BRAND NEW ENHANCED CD! STILL SEALED!! 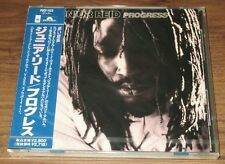 Sly & Robbie "FRIENDS" BRAND NEW PROMO CD! STILL SEALED! Has a few minor scuffs but plays good. Beenie Man "Undisputed" BRAND NEW! STILL SEALED!! The Specials "Specials" BRAND NEW ENHANCED CD! STILL SEALED!! STILL SEALED! WITH PLENTY OF BUBBLE WRAP! And If the parcel do missing or It's late. of the commodity since the short one week. Do not be RELIST on NEXT WEEK. IT WAITS FOR COMBINE ORDER TILL NEXT 1 WEEK. can use our for the commodity sending out into Japan. Of the commodity since the short one week. IT WAITS FOR COMBINE ORDER TILL NEXT 1 WEEK. OUR GRADE ARE SEALED or NEW MINT MINT- NEAR MINT. RELEASE COUNTRY JAPAN. can use our for the commodity sending out into Japan. 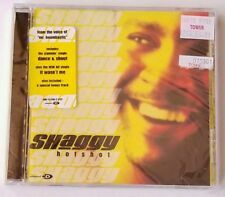 This CD WAS A PROMO THAT WAS SENT TO RADIO STATIONS ONLY. MOST of the ART WORK IS EXCLUSIVE TO THIS CD AND CAN ONLY BE FOUND HERE and CAN NOT be found anywhere else. Of the commodity since the short one week. ERRASE FOR SAMPLE LOGO AT BACK SIDE ON OUTER SHRINK WRAP BY BLACK INK. RELEASE COUNTRY JAPAN. OUR GRADE ARE SEALED or NEW → MINT → MINT- → NEAR MINT →Ex → Ex → Ex- → VG → VG → VG- → G → G → G- → POOR. Ex Ex Ex- VG VG VG- G G G- POOR. OUR GRADE ARE SEALED or NEW MINT MINT- NEAR MINT. STEP 2: Check Your Country ! can use our for the commodity sending out into Japan. RELEASE COUNTRY JAPAN. Reggae Blitzpromo. For more details see the picture of the reverse side and use the zoom feature. The pictures shown are of the actual album for sale. Two songs taken from the 2004 PASSAGE Album. "Army man" features Justin Hinds while "Shake Sinora" features Skully Simms". RARE PROMO CD FROM ISRAEL 2010. MINT CONDITION.STILL SEALED WITH THE FACTORY SHRINK. Title: TALKING DREADS. Artist: MYSTIC BOWIE. Format: CD. Condition: New. Title: Talking Dreads. Artist: Mystic Bowie. Format: CD.